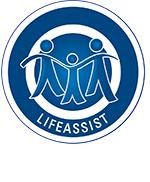 Please complete the following form (or download the pdf) with all your details to apply to join the LifeAssist Affiliate network. We look forward to working with you! Thank you for taking the time to complete this form. We will be in contact with you shortly.